Welcome to armourdentistry.com, the website of Nicole M Armour, DMD, a premier general and cosmetic dentist in Newtown, PA. Armour Dentistry is a handicapped accessible dental practice offering a wide array of oral health products and treatment options to adults, families (including children), geriatric patients, medically compromised patients, and those with special needs. Our dental practice provides a full range of restorative and cosmetic dental services from routine preventative dental hygiene, fillings, and whitening, to crowns, dental implants, and complicated full mouth reconstructions. We are excited to have you as a patient and look forward to working with you to create a healthy and beautiful smile. Nicole M Armour, DMD is an accomplished and highly credentialed general and cosmetic dentist in Newtown, Pennsylvania. Her training at Harvard, top ranked Mass General and Brigham and Women's Hospitals, and UConn School of Dental Medicine enables Dr. Armour to provide you with superior care. Combined with her eye for aesthetics, patients consistently achieve stunning results. Discover what superior restorative and cosmetic dental care can do for your career, relationships, and confidence. At Armour Dentistry we combine precision with artistry to create extraordinarily beautiful and natural looking results. Click to view our portfolio and see how we can help transform your smile and your life. Your smile can have a dramatic effect on your confidence and your overall appearance. 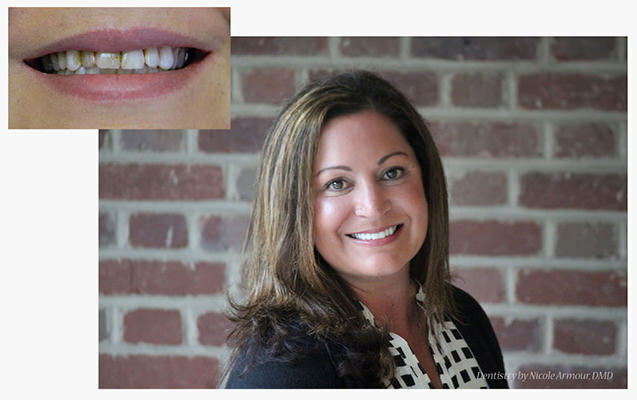 Nicole M Armour, DMD specializes in aesthetic cosmetic dentistry and smile makeovers. Once you make the decision to improve your smile, Dr. Armour will work closely with you to create a personalized treatment plan that fits your budget and your schedule. Extensive credentials, training, and experience combine with an artistic eye to enable Dr. Armour’s patients to consistently achieve stunning and natural looking results. As always, we use only high quality materials and the most technologically advanced dental systems, so no matter whether you come in for a crown, dental bonding, veneers, implant, or teeth whitening procedure you can be assured the best results possible. 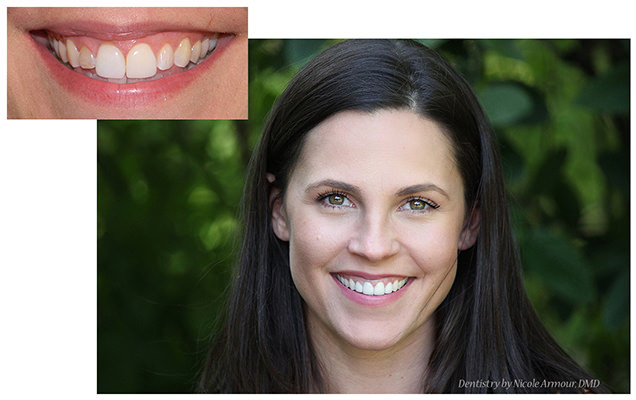 A cosmetic smile makeover by Armour Dentistry can impact your career, your relationships, and your life. Ready to improve your smile? Make an appointment for a consultation today! At Armour Dentistry quality is key. We are NOT a high volume, high turnover dental office. Our practice model allows for more face time with the dentist. This leads to more productive visits where your questions are clearly answered, your oral health evaluation and preventative cleanings are thorough, and your dental treatment plan is carefully customized. Highly trained staff and quality materials are also fundamental to our treatment success. We work with only the highest quality certified dental labs that reliably produce artistic, beautiful, and well-fitted crowns, veneers, bridges, and other dental appliances. Despite a trend to outsource to cut-rate labs in foreign countries, we only use top rated dental laboratories in the United States. Better materials produce more attractive and durable results, which translates into better patient outcomes and gorgeous smiles. Superb training and experience lead to extraordinary dentistry. Do you have a chipped tooth, broken crown, or failed implant? Are you struggling with cavities, tooth sensitivity, or dental pain? We can help. Nicole M Armour trained with expert dentists at world-class institutions. She has extensive experience treating even the most difficult cases in both adults and children. Her attention to detail and conservative treatment planning means consistent and long-lasting results with significantly fewer complications. Additionally, Dr. Armour consults with other specialists and leverages her extensive network of Harvard-trained dentists when indicated to determine the most reliable and safest treatment for her patients. Trust Nicole M Armour, DMD and Armour Dentistry of Newtown for all of your restorative dental needs. Our dental offices in the Penns Trail section of Newtown are technologically advanced yet comfortable. The expert team at the offices of general and cosmetic dentist Nicole Armour will help you create a beautiful smile and a confident new you. At Armour Dentistry we strive for excellence and believe that patients should be treated with respect and care while making your treatment comfortable, painless, and successful. You live here, we live here. As members of local Bucks County communities we treat you like family. In an environment of increasing corporate involvement and the expansion of the chain dental industry, we operate a local dentist-owned practice. For this reason, Dr. Armour can dependably provide your comprehensive dental health care with compassion, attentiveness, and technical expertise. 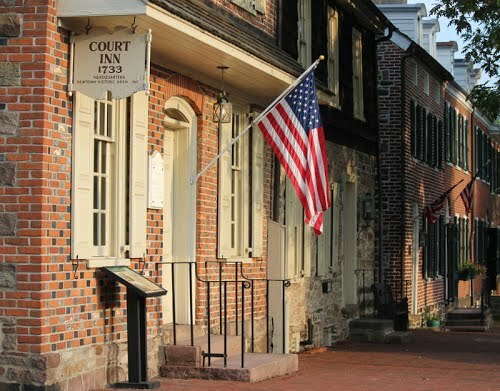 We are proud to provide only the highest quality dentistry to patients in Newtown, Pennsylvania and surrounding Bucks County including Yardley, Richboro, Holland, Churchville, Langhorne, Upper Makefield Township, Washington Crossing, New Hope, Doylestown, and nearby areas of New Jersey such as Lambertville, Hopewell Township, and Princeton.